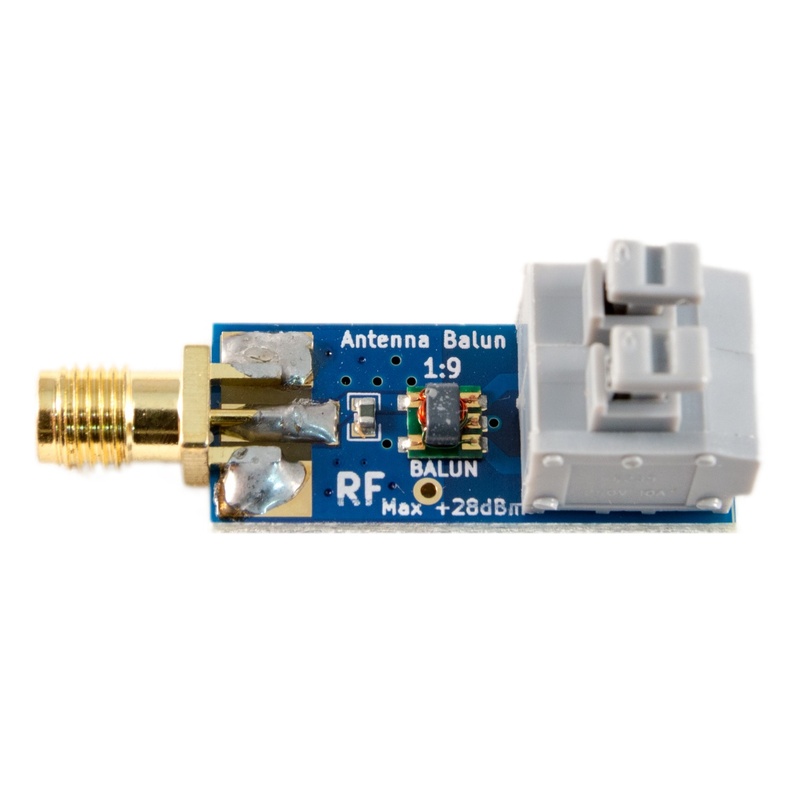 Tiny 1:9 balun meant for attaching long wire antennas to Ham It Up, but very handy on the bench for all sorts of applications. Meet 'Balun One Nine', a small, cost-effective balun. 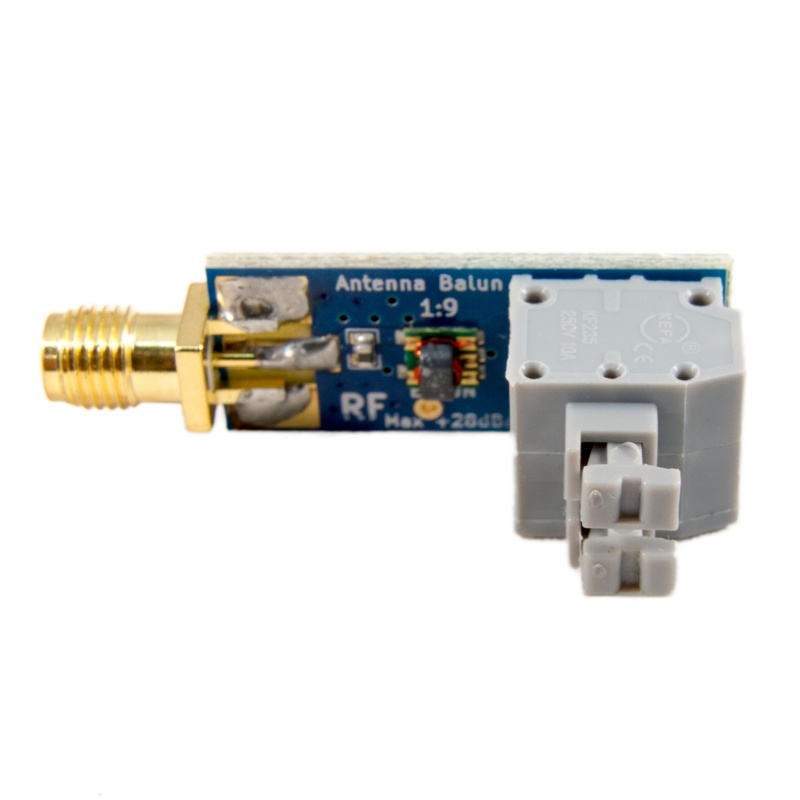 An excellent way to attach a long wire antenna to the Ham It Up, this 1:9 balun has an SMA output port and high-quality spring-type terminal block input for your coax. 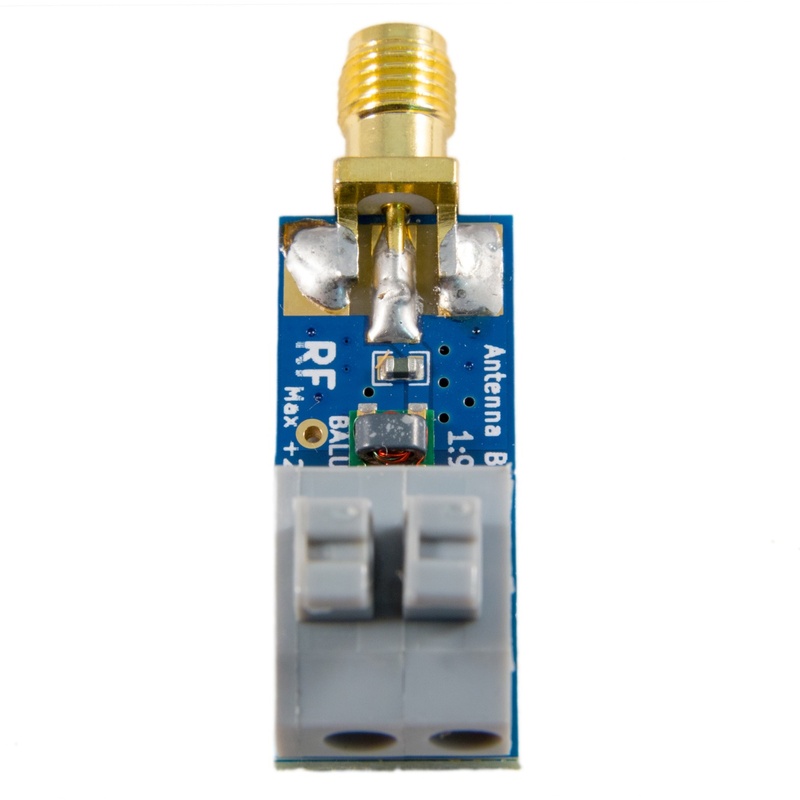 Balun One Nine includes an AntennaGuard varistor on the input, protecting your SDR setup from spurious ESD. The ESD protection is excellent--it passes IEC61000-4-2, an 8kV contact discharge test, with a response time of just 300ps. 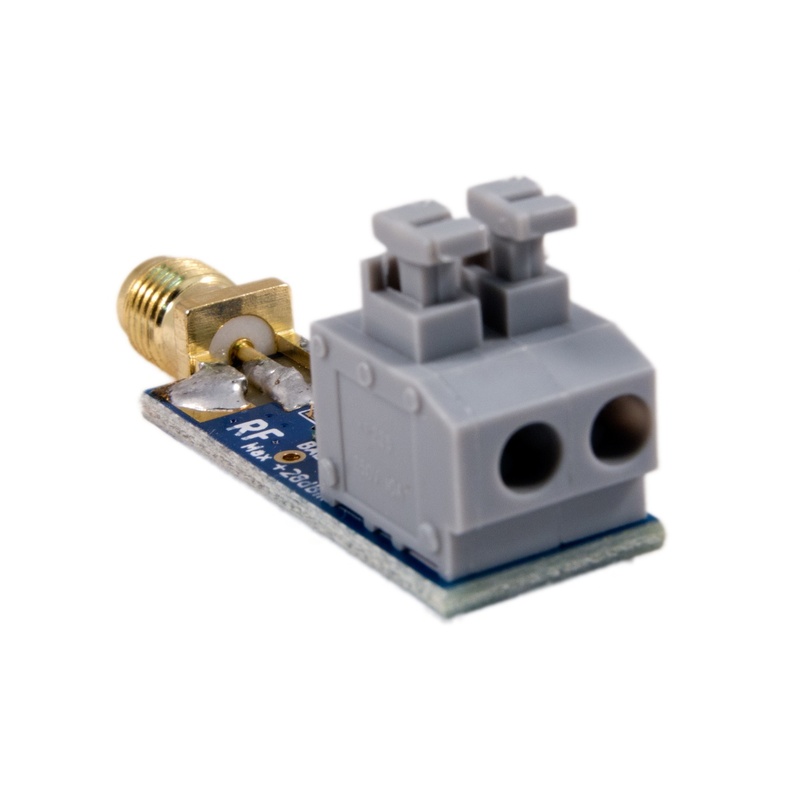 At 39.2mm x 13.0mm in total size (including connectors!) 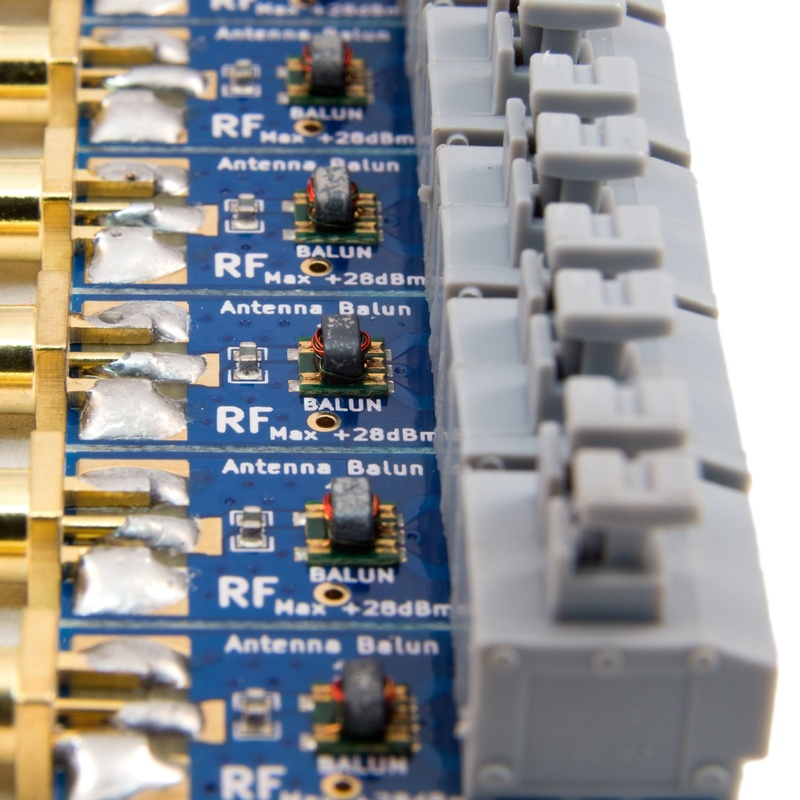 this balun was designed to be light in weight and light on your wallet. 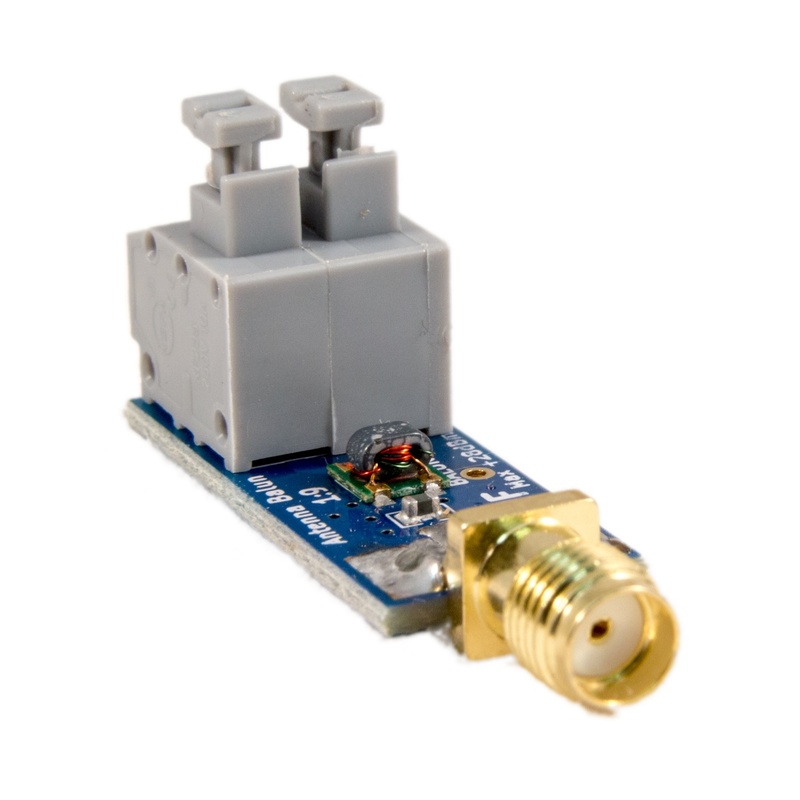 Very low insertion loss of -1.3dB (typical), with a maximum input power of +28dBm. 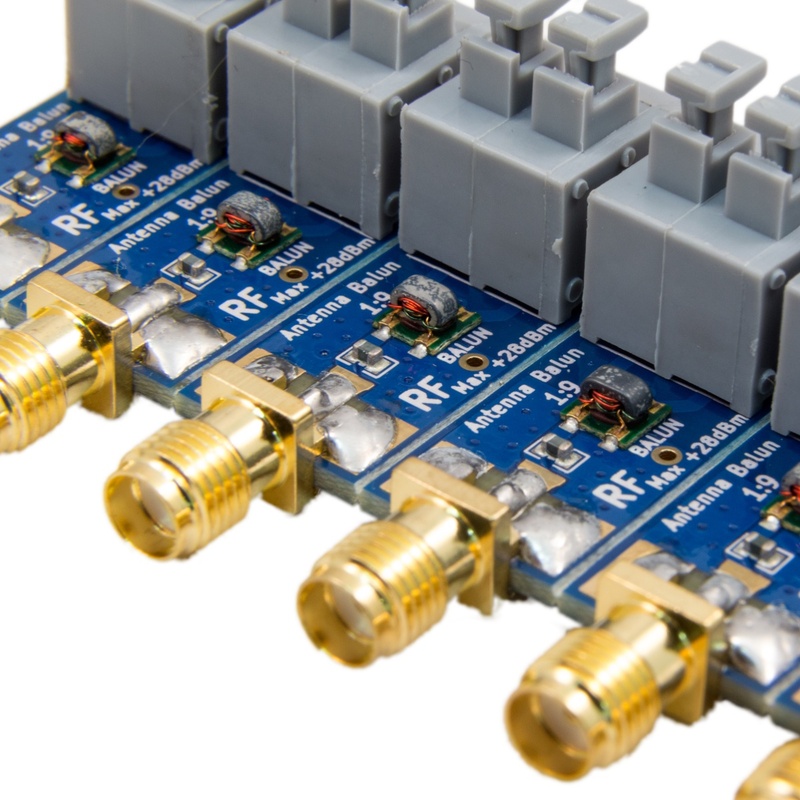 Designed primarily for 160m-6m amateur bands, but specifications are accurate to frequencies up to 90MHz+. 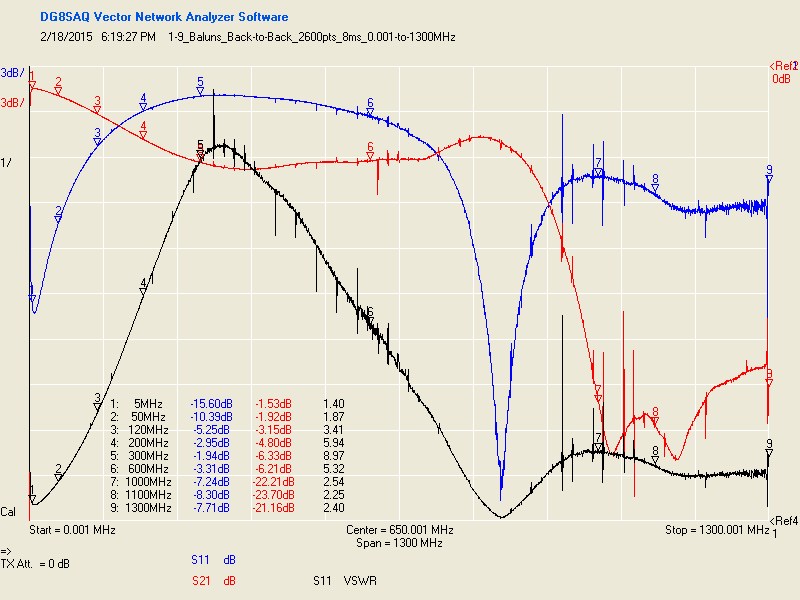 Back to back VNA sweep of two baluns shows that one Balun has Return Loss (S11) >-10dB (VSWR<2) between 1MHz and 54MHz with Insertion Loss (S21) <1.5dB (divide by two to get loss of one balun). 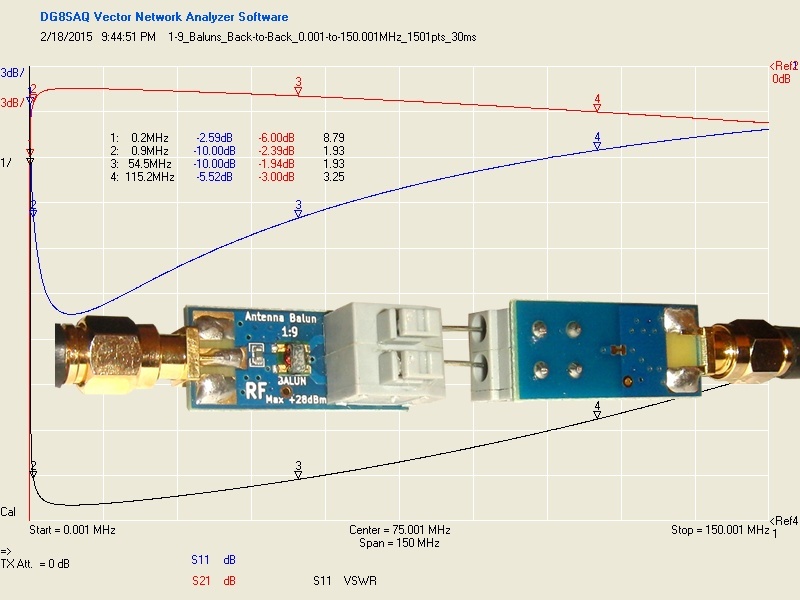 It covers the 160m to 6m amateur bands.